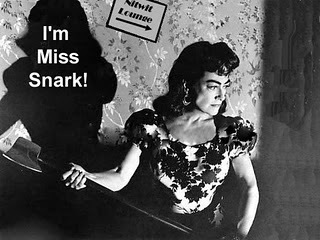 Ah, the lovely Miss Snark. Yes, I know, she's old news. Her blog went dark in May 2007. If you're an aspiring writer, read through her posts. They're wonderful, helpful, and extremely entertaining.